If you’re ever stuck between two choices and you can’t decide which way to go, why not let the world in on your decision. 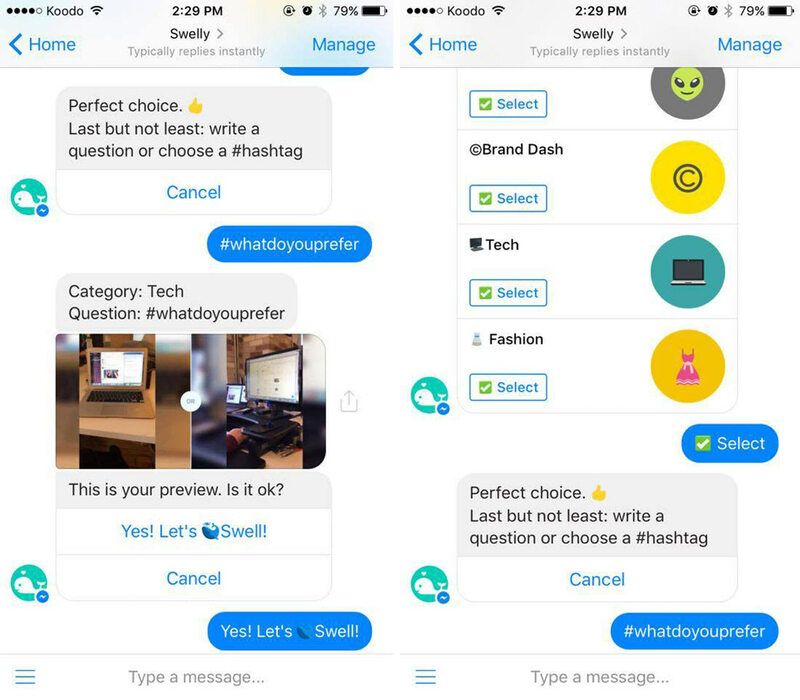 With the Swelly chat bot for Facebook Messenger, users can both get opinions on their own difficult choices and provide their opinions on the choices of others. Users can access a wealth of opinions simply by posting a photo of the two options they’re trying to decide between. The bot will put those photos together side by side and send them out into the network of people using the platform. In three hours, Swelly will deliver the user the results of their vote. Preparing a vote to send out to the community is referred to by the bot as a “swell.” Though the full results are delivered three hours later, votes filter in periodically to give users a better idea of which way the community is leaning. In addition however, users can also help their fellow users out by giving their opinion. If they are so inclined, they can vote to help other users decide between two impossible choices. 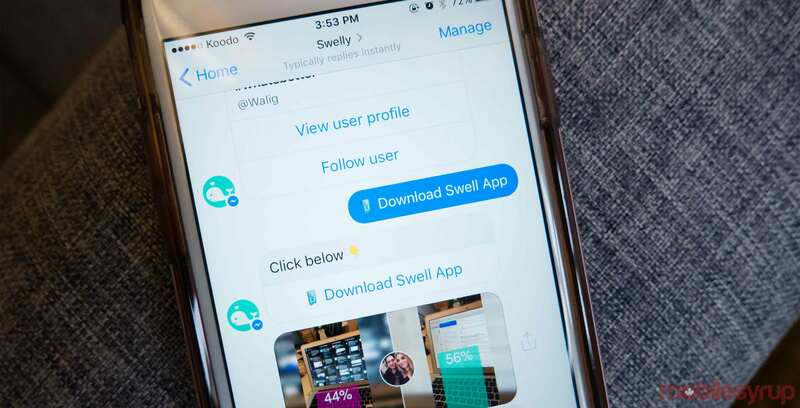 The chat bot is a spinoff of the smartphone app, Swelly, which is designed to help its users with daily decisions such as which shoes to wear or which restaurant to go to. 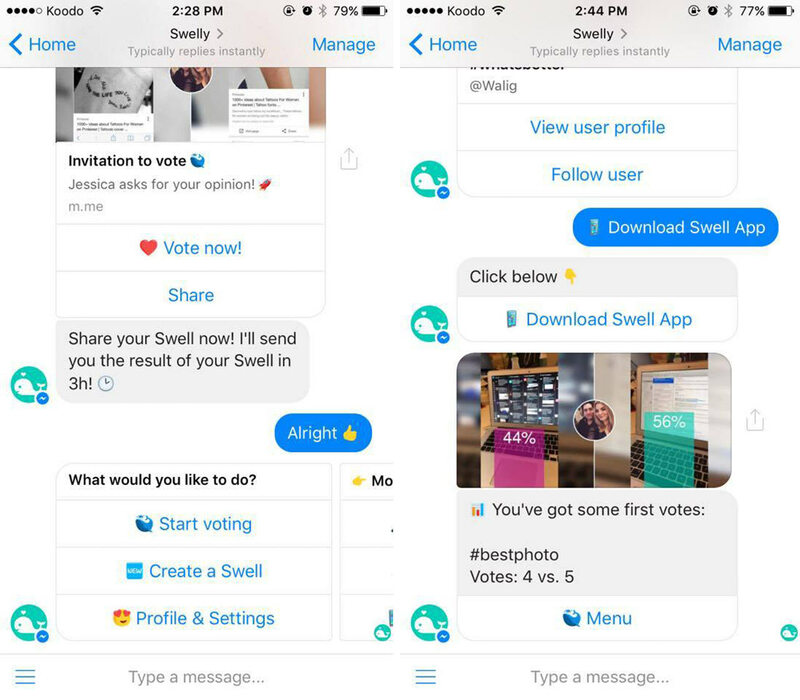 For those of us that don’t need to refer to the app on a regular basis, but might need a little help deciding between two options once in a while, the Swelly chatbot serves as a great middle ground. 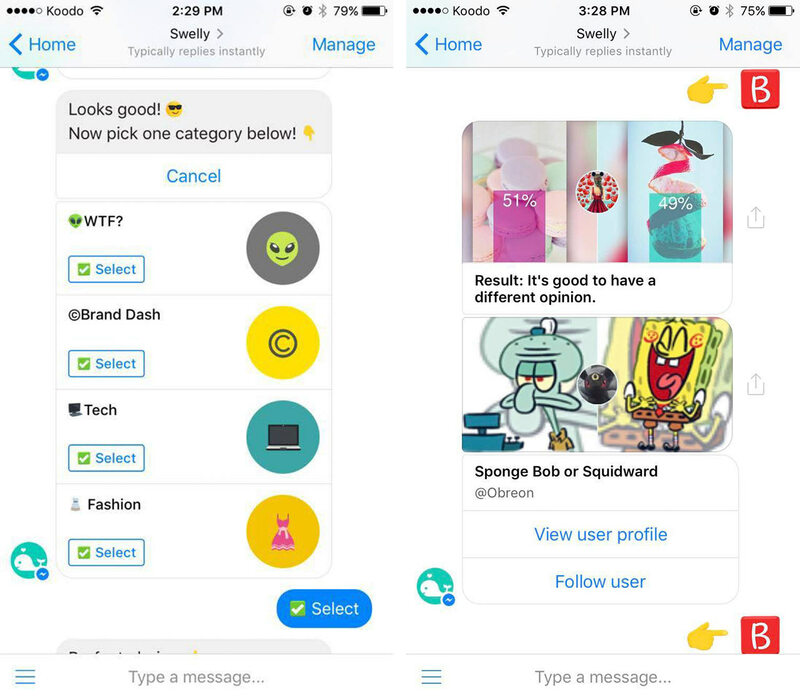 Swelly Bot is available on Facebook Messenger, Kik and Telegram.